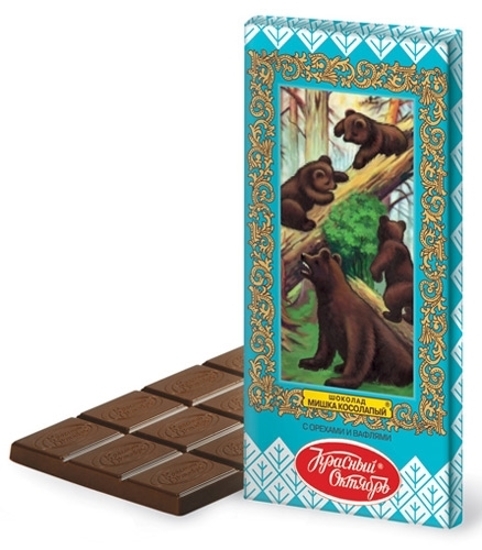 Chocolate Bear The Bruin 75g - Russian Food Online Shop "Babushka"
Chocolate "Mishka Kosolapy" - favorite delicacy. 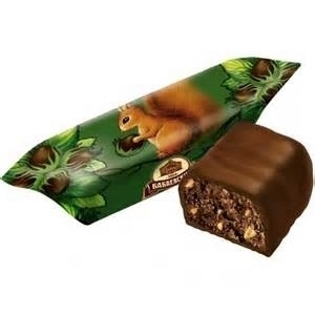 Chocolate from the legendary product line "Bear toe". 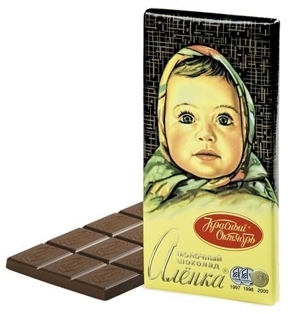 In the design of the package, a fragment of the painting by I. Shishkin "Morning in the Pine Forest" was used. 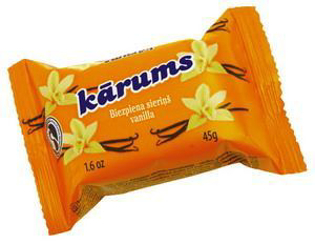 Dark chocolate with the addition of almonds and wafer crumbs.